Cuenca is the third largest city in Ecuador. Many families live below the subsistence level on the market “Feria Libre” in Cuenca. The only sources of income are occasional jobs and casual labor. Thus, the children lack access to appropriate nutrition, education and health care. Most of the time, the family can only afford one meal per day. In the evening a soup is being cooked on the open fire. The children are undernourished from birth and therefore limited in their receptivity and their capacity. In addition to that, there is a lack of sufficient and adapted care and support, which is tailored to the special needs of the children. Many children have to work on the market to contribute to the income of the family. The financial situation, the work on the market, the negative effects of the malnutrition and the lack of support, thus the overall living conditions affect the physical, mental and social development of the children. The project takes place on the market area “Feria Libre” and is a preventive and inclusive project for children, who work on the market and supports in all activities also young people with disabilities. 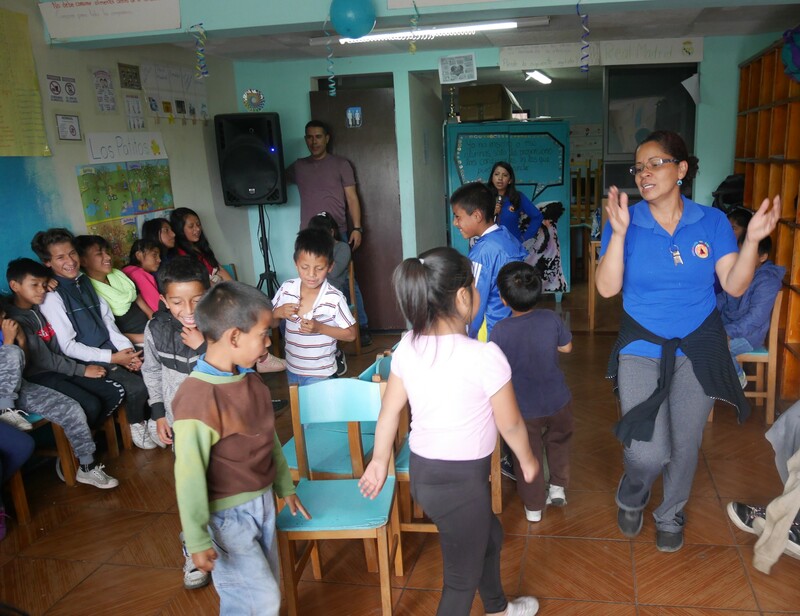 The project has been existing since 1994 and it is managed self-dependently by young and dedicated Ecuadorians. The aim of the project is the comprehensive care of children whose families are living below the subsistence level. Their development is being encouraged by the introduction and implementation of various measures and activities, thereby reducing the risk of an imminent disability. In order to support the children with their unique needs and living situation at the market as diversely as possible, different measures in various areas are implemented. All of them promote the physical, mental as well as social development of the children. All offers are always voluntary. The work takes place on the market “Feria Libre” in Cuenca. bezev supports the poject “Feria Libre” since its foundation. In addition to that, since 2008 bezev is sending two volunteers to the project each year who join the project for at least 12 months. Their main tasks consist of the care of the children, from the moment they return home from school. The volunteers are also responsible for the supervision of the homework of the children and the design and implementation of various educational workshops in the areas of art and creativity, mathematics and construction, sciences, personal hygiene and nutrition.